Social Media and the Zionist Incitement !! “I want to revenge and kill a Palestinian” this was the post on a Facebook account, so simple and straightforward. Ayala Hasson, an “israeli” journalist, reporter and news director in the zionist IBA News channel, has started a social media experiment in which she asked two people, a Palestinian israeli citizen from Nazareth, and a jewish israeli to post a message on their Facebook wall that they intend to kill an enemy in revenge. The two accounts are for real people and have been active for long times with FB friends, follower and the language that was used in the post is real for FB users and not academic. Shadi Khalileh, a Palestinian resident of Nazareth, posted that he was inspired to kill a zionist occupier and he intends to do so. Soon he received dozens of phone calls from friends and family members inquiring what was wrong with his account, and whether his account was hacked and somebody else is posting hate speech on his wall. Also Arab Parliament members, who heard of the post, phoned his family asking how could that happen. Shadi’s post received only 12 likes but soon 4 police cars arrived, arrested him and interrogated him for long before they were convinced that it was just a Facebook experiment. What is surprising is the other side, the jewish israeli side. Daniel Levy a jewish israel Haifa resident, wrote that he wants to kill a Palestinian soon, it was so explicit and so direct. In a few hours he got over 1000 likes and also 34 comments an 26 shares. “I am proud of you”, “You are a hero”, “You are a real jew” and such comments were posted pushing him forward from other zionists appreciating his “courage”. The jewish post kept like that till it got thousands of likes until the TV channel decided to take it down. Daniel was untouched and no police ever came close to his house. This was a social media experiment, just an experiment, that shows the racist behavior of the zionist state, however, the reality is even beyond imagination. The zionist “minister of justice” Ayelet Shaked, wrote on her Facebook wall: “They [Palestinians] are all enemy combatants, and their blood shall be on all their heads. Now this also includes the mothers of the martyrs, who send them to hell with flowers and kisses. They should follow their sons, nothing would be more just.”. .. Notice she speaks of “just” as she is the Minister of justice”!!! It is a direct and straightforward call for killing from an official political authority. This is the best form of incitement and call for murder. 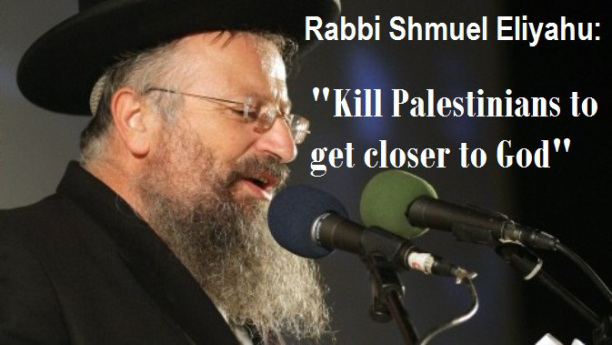 Last week, a zionist Rabbi, the member of the Chief Rabbinate Council Rabbi Shmuel Eliyahu (in an interview with the zionist TV Channel-7) called the zionists for killing Palestinians in order to “get closer to god”… I wonder which “god” is he talking about? This Rabbi represents the official zionist stance against the native Palestinians, whom the jewish Rabbis and government consider them to be “animals” as the top zionist Rabbi Ovadia yosef described them once and also the zionist deputy minister of religion Elei Dahan called them again recently. Several other rabbis have issued similar orders calling for killing the Palestinians, as a “jewish religious duty”. This is the official and governmental discourse of incitement and clear call for killing in the name of their Talmud. And still the zionist government talking of “Palestinian incitement” on social media? Lt. Col. David Shapira is the hero who stopped the terrorist in the 2008 Mercaz Harav Yeshiva attack; he also commanded Sgt. Elor Azaria when he shot dead an immobilized terrorist in Hebron; after giving his testimony in Azaria's case, Shapira has been subject to online abuse. 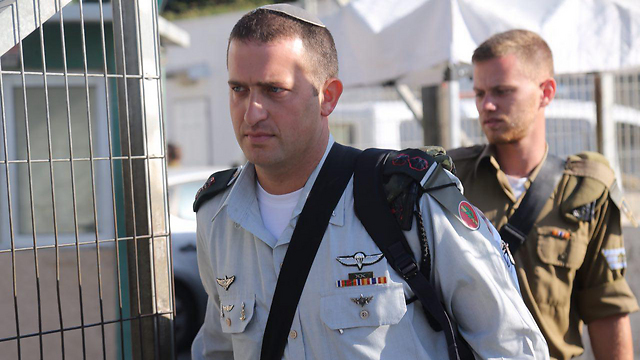 Lt. Col. David Shapira, a brigade commander in the Officers' Training School and formerly the Kfir Brigade's Shimshon Battalion commander, was subjected in recent days to online curses and invective following the testimony that he gave against his former subordinate, Sgt. Elor Azaria, who is on trial for having shot dead Abdel Fattah al-Sharif, a neutralized terrorist, in Hebron. Shapira testified that did believe Azaria was speaking the truth following the incident. The commander is no stranger to dangerous situations. In 2008, Shapira heard an unusual noise outside his apartment in Jerusalem. He went outside with his firearm and found that a terrorist had entered the Mercaz Harav Yeshiva and was slaughtering its students with a rifle. Police, who were already on the scene, stopped Shapira as he approached the yeshiva's main entrance, instructing him to wait for the arrival of special forces. Shapira wasn't prepared to wait, and he managed to enter the building regardless. He identified the terrorist, who had managed to wound ten and murder eight persons, and shot him dead. He received a citation for his bravery and responsibility in saving lives. However, Shapira now finds himself in a different type of public situation. On Tuesday, he appeared as a witness for the prosecution in Azaria's trial in the Jaffa Military Court. At the time of the shooting in Hebron, Shapira was Azaria's commander. In his testimony, which was consistent with his earlier statements during the IDF's initial investigation into the incident, the commander explained that he did not believe that Azaria was speaking truthfully when he alleged that he felt in danger when he killed al-Sharif. The online response to Shapira's were disturbing. In a Facebook group called, "We're all with Elor" (with more than 43,000 members), a sampling of the invective included: "Piece of crap, you should be put on trial"; "Shame on the IDF that these are its commanders"; "I wouldn't want a commander like that for my kids"; "Shapira should die in battle… A negligent commander who wipes the blood of his soldier for a promotion"; "To the devil with you, Mr. Coward Commander"; "You should take the kipah off your head; even God won't forgive you." Some are calling the brigade commander "a traitor condemned to death." Omer Samani, a member of the Dror Israel Movement, posted a collection of some of the online insults. 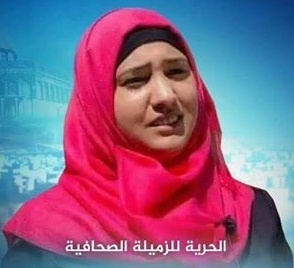 Samani wrote, "This is a worrying phenomenon in which one of the symbols of Israeli statehood—the IDF—has also become a target for incitement and inflammation. It's sad that we've reached a day where even an Israeli hero like David Shapira is attacked in this way." A statement from the IDF Spokesperson Unit said, "The expected norm for IDF officers and soldiers is speaking the truth and giving truthful testimony. The trial in the military court concerning Sgt. Elor Azaria must be permitted to be run according to the accepted rules and without external intervention, and witnesses for the prosecution and the defense must be permitted to speak the truth without worry or fear. Any attempt to apply pressure on those involved in the legal process is reprehensible. "Lt. Col. David Shapira is an outstanding officer and has many years of operational experience. The brigade commander received a citation for his actions and bravery in the Mercaz Harav Yeshiva terrorist attack." The prosecution in the Azaria case, led by Nadav Weisman of the IDF Military Advocate General, concluded presenting its witnesses on Wednesday. 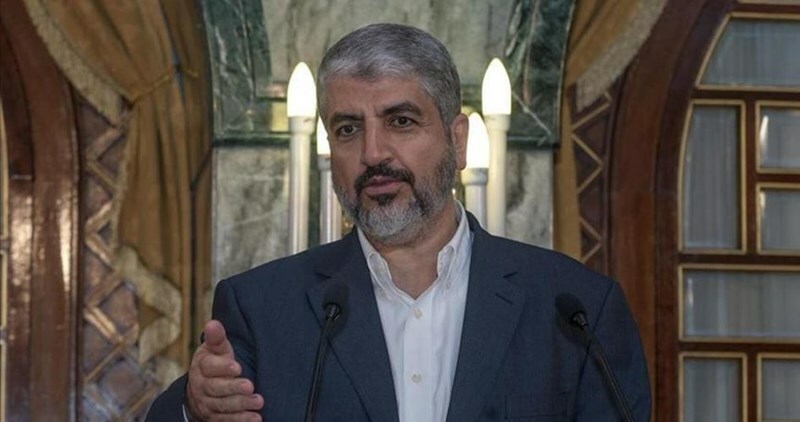 Hamas Movement affirmed in a statement issued Wednesday evening that head of its political bureau Khaled Mishaal has no social media accounts. The statement came after Israeli media outlets claimed that Facebook administration had closed Mishaal’s Facebook account. 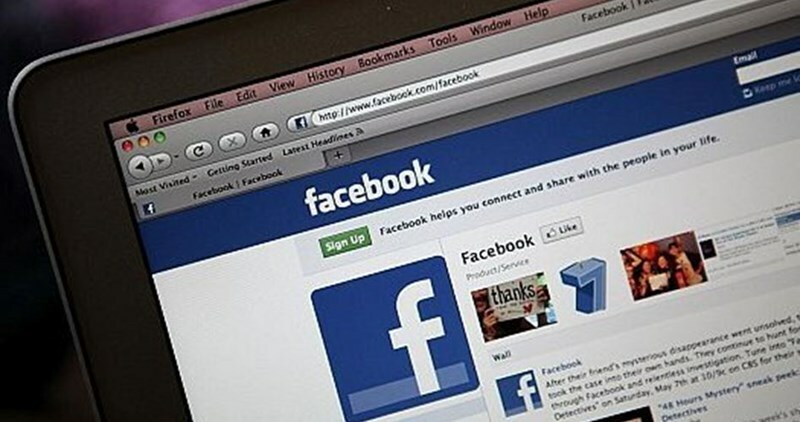 The Movement called on media outlets not to deal with the social media fake accounts attributed to its leaders. 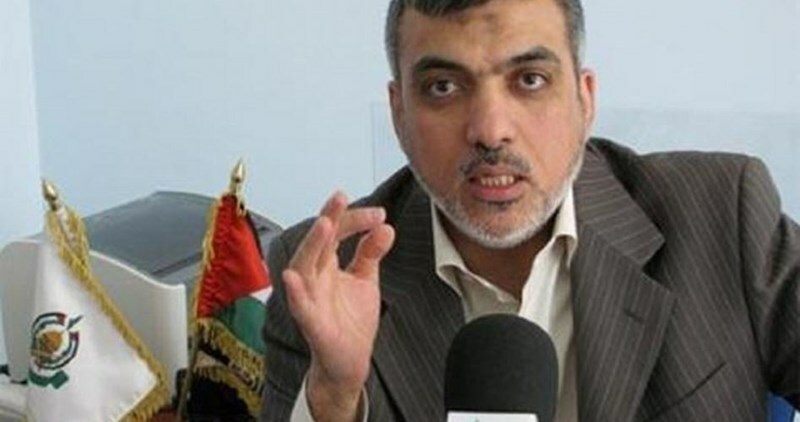 Facebook administration on Tuesday closed the page of Izzat al-Resheq, member of Hamas political bureau, for the seventh time. Resheq condemned, on Twitter, the closure of his Facebook account and perceived the action as biased to Israel. 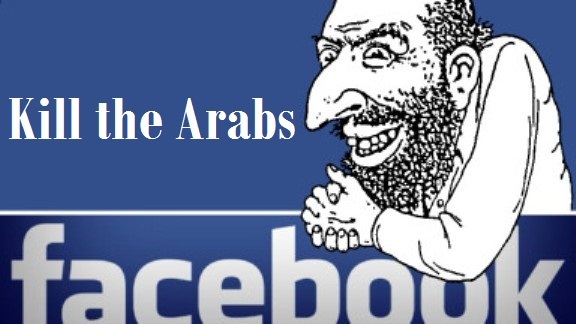 Facebook administration used to close the official pages of Hamas Movement and its leaders in light of the Israeli incitement against the Movement under the pretext of adopting resistance against occupation. 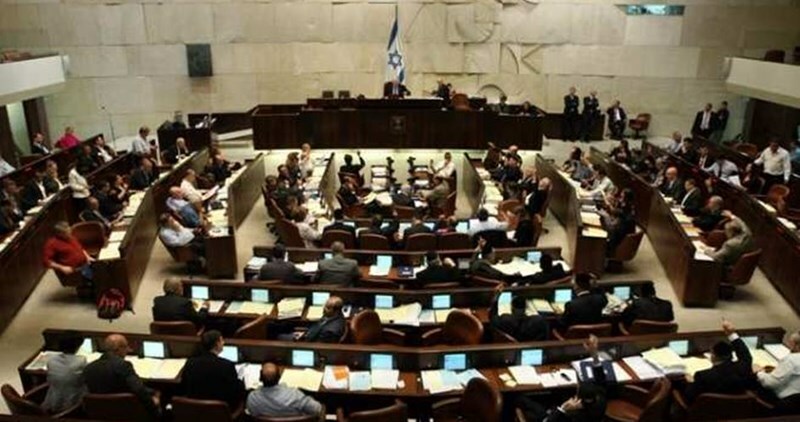 This move followed the declaration of a lawsuit that was filed against Facebook on behalf of the families of five Israelis holding the American nationality who were killed in anti-occupation attacks. The Israeli families demanded one billion dollars as compensation. Israeli legal advocacy organization Shurat Hadin is leading an effort against the social media giant, claiming its failure to act against terrorist group Hamas makes it liable for Hamas actions. 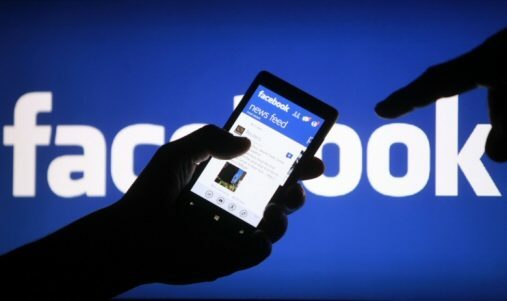 Shurat Hadin, an Israeli legal advocacy group, filed the suit on behalf of the five families in a New York court late Sunday, alleging that Facebook is violating the US Anti-Terrorism Act by providing a service to militant groups that assists them in "recruiting, radicalizing, and instructing terrorists, raising funds, creating fear and carrying out attacks." "Facebook can't sit in its stone tower in Palo Alto while blood is being spilled here on the streets of Jerusalem and Tel Aviv. It has a social responsibility. 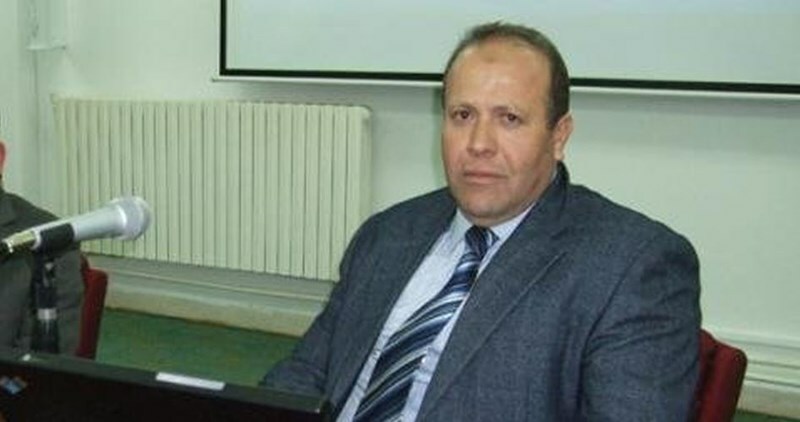 It can't serve as a social network for Hamas," said , the Israeli lawyer who is representing the families. Among the plaintiffs in the lawsuit is the family of Taylor Force, a 28-year-old US veteran who was visiting Israel in March when he was stabbed to death by a Palestinian. Other plaintiffs include the family of Richard Lakin, an educator and coexistence advocate who was shot on a Jerusalem bus last October, and relatives of Naftali Fraenkel, an Israeli teenager who was kidnapped and killed while hitchhiking in the West Bank two years ago. It is not clear whether the lawsuit will succeed. For one, under US law, internet companies are generally exempt from liability for the material users post on their networks. Also, the court may rule freedom of expression precedes anti-terror laws. 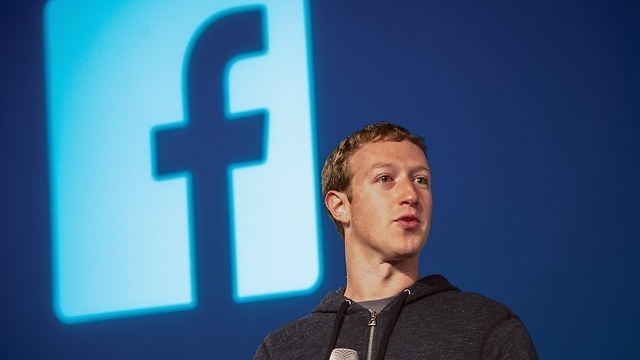 Facebook has its own code of conduct and often removes content deemed objectionable.